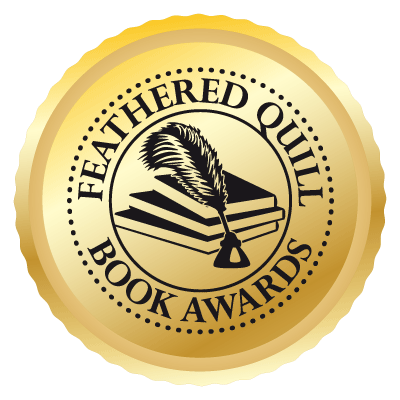 Feathered Quill Book Reviews is a place for readers to find their next treasure. Along with reviews of many well-known titles, this site also searches out unique books from small, independent presses. Today, Feathered Quill reviewer Amy Lignor is talking with Behcet Kaya, author of Treacherous Estate. FQ: Being born in a small village overseas, then moving various places for both education and career, can you tell us a bit about your background and how various locales helped to spur your creative juices, so to speak? And, do any of these locations have a bearing on the story? KAYA: My wife and I have a bucket list of places including China (the Great Wall), South Africa, Kenya, and the Panama Canal. I am not sure if I would work those into any future stories. They are more for the purpose of personal enrichment. One of my previous novels, Murder on the Naval Base, is based in Florida, as is my current novel, Treacherous Estate. While we were living in California my wife inherited a cottage in Florida in 2007 after her mother passed away from Alzheimers. One of us regularly visited the cottage and our friends used the cottage for vacations. Being familiar with the Panhandle area, it was easy to incorporate both novels into the familiar surroundings. FQ: Please give readers a “sneak peek” into Treacherous Estate, and tell us a bit about how the idea first came to you. Is Jacques based on any real character in your own life? chapter. I was also reading a book about todays private military companies. And so the novel was born. Jacques Ludefance is actually a minor character in Murder on the Naval Base. It just seemed natural to develop him into a major character for this current novel. But, he is entirely fictional from start to finish. After completing the first chapter, I began thinking about how the story might progress, beginning, middle and end, and then started doing more research. FQ: Along those lines, are you an author who plans things ahead of time (base plots on your own past); or do ideas just spring up from out of nowhere that make you want to run to the nearest keyboard and type? KAYA: Other than Voice of Conscience, none of my novels are based on my past. Ideas come to me, I let them percolate for a while, and then I begin writing. I enjoy “thinking out loud” with my wife. I ask questions as to what the character should do, and whether an action is appropriate in American society. My wife becomes my sounding board and I enjoy bouncing ideas back and forth. I just began writing my fifth novel, Body in the Woods, and will be using Jacques Ludefance once more as the main character. He takes on another difficult case after a woman finds a dead body in the woods and his friend Vance McGruder (from Treacherous Estate) is accused of the murder. FQ: Speaking of characters, I have to ask: Emma is certainly different, to say the least. The gator seems much more helpful than a Doberman. Were you a fan of the TV show Miami Vice when it was on? I ask because he had a croc named Elvis on his boat. KAYA: I occasionally watched Miami Vice, but having a second-shift job, my viewing was limited. I do remember Sonny having a gator on his boat, but don’t recall how he acquired it. My character, Jack, wrestled alligators as a teenager and kept one as a pet. As for the name, my wife gave Emma her name. FQ: If being asked for advice from an up-and-coming author, could you tell us one tip you would give in regards to what they should do to make it in the writing world; and one tip focused on what (if anything) they should definitely avoid? KAYA: The number one thing they should do is read ferociously. And, listen. Listen to conversations wherever they might be, whether it be McDonald’s, Starbucks, wherever. Also, learn to market yourself and your book. That’s an important and difficult part, but essential for success. FQ: Being an actor and a writer, are there acting skills that are beneficial to the writing facet of your creativity? KAYA: I would say definitely yes. Acting classes makes you listen and be familiar with the dialogue. Actually all my life I have been training to be a successful actor, but that did not materialized to my satisfaction. It definitely has helped in but helped my writing. FQ: Are you currently working on another Jacques mystery? Could you tell readers what to keep on the lookout for in the future? KAYA: Yes! As mentioned above, I have completed several chapters of Body in the Woods, using Jacques Ludefance as the main character. He is hired to find who murdered Heinrich Haines, the business partner of Vance McGruder (from Treacherous Estate).